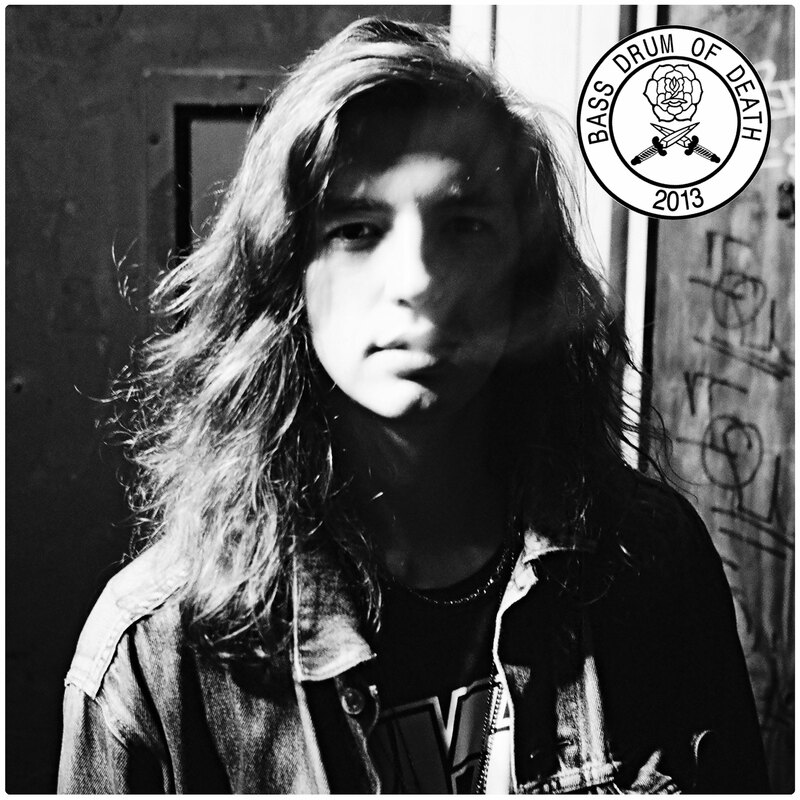 Bass Drum of Death’s new self-titled LP is set to release Tuesday, June 25th in stores. In anticipation of the release, Pitchfork Advance, is streaming the album. Download of the record is available at iTunes, and if you want the hard copy it’s available in our Store. 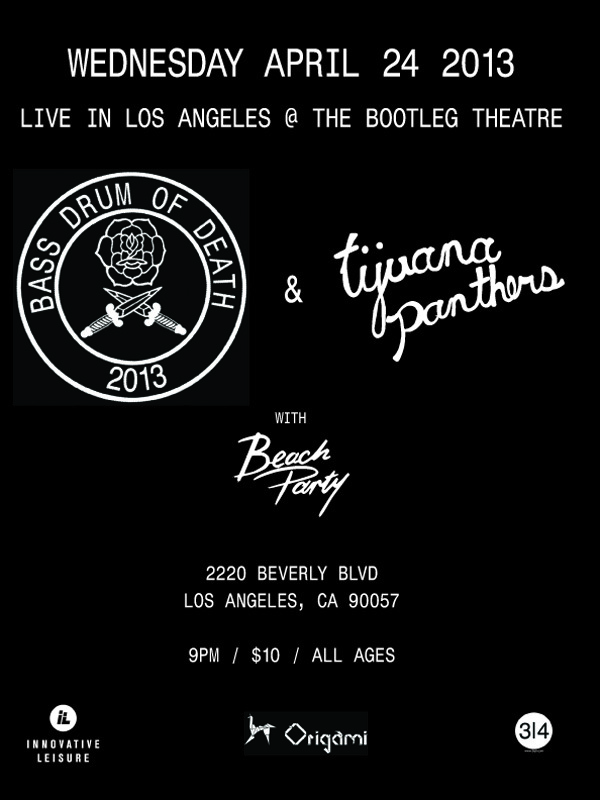 Join us at the Bootleg in Los Angeles Wed, April 24th for a show with Tijuana Panthers and Bass Drum of Death. With Beach Party. This Friday night at Pappy & Harriet’s promises to be a good one. 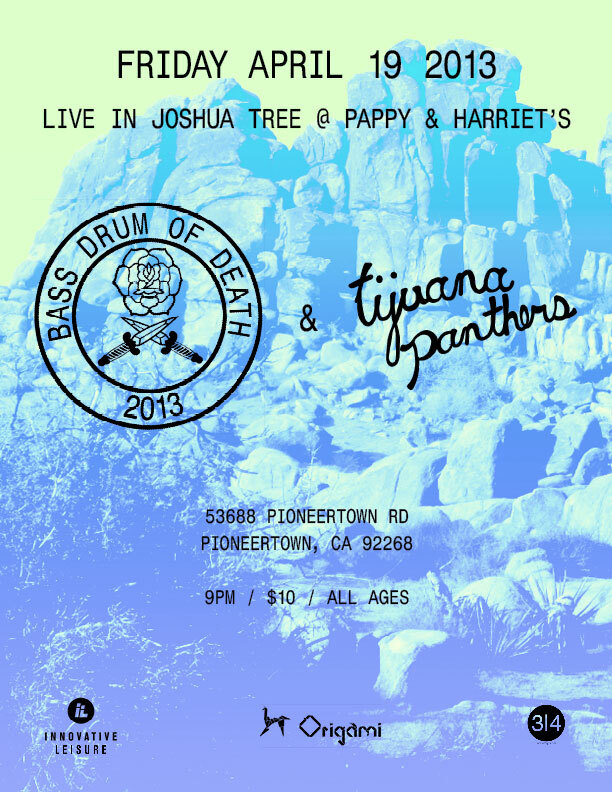 Bass Drum of Death & Tijuana Panthers battle of the bands in Joshua Tree. Bring your pool stick and your dancing shoes. “Shattered Me” which premiered on Fader is the first single from Bass Drum of Death that will be released as a digital single and custom 8″ vinyl on 4/16/13. 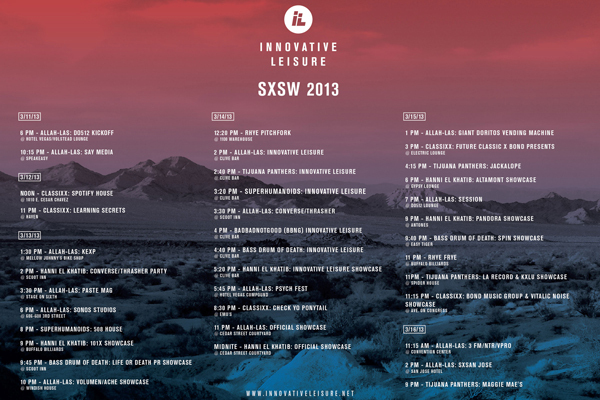 Catch some of the IL action down in Austin for SXSW 2013 courtesy of The Video Mouse. Thanks to Clive Bar in Austin for hosting us. Also an extra special thanks to Hex for their support and for my new iPhone Wallet Cover. Rock! 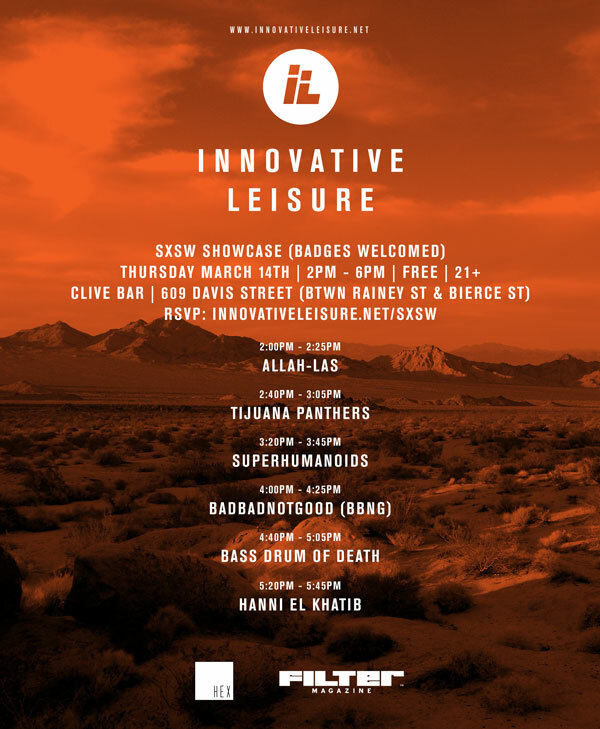 If you were at our SXSW party at Clive Bar, you saw some great performances by Allah-Las, Tijuana Panthers, Superhumanoids, Bass Drum of Death, Badbadnotgood and Hanni El Khatib. If you weren’t there, here are some photos to make you wish you were. Thanks to Nick Walker for the photos (and being an all around good guy). It’s that time of year again; here’s the complete schedule of all IL bands performing at SXSW 2013. A warm welcome and we are very pleased to announce an upcoming LP in the works by Mississippi’s finest John Barrett aka Bass Drum of Death. Album is forthcoming in late Spring/early Summer. Come join us in Austin at Clive Bar. Our event is free with RSVP.